What Was 2013’s Biggest Disappointment? With 2013 in the rearview mirror, it’s an appropriate time to look back on the past year. So my question for today is what is the biggest disappointment of 2013? I know I’ll get some heat for choosing this from some bloggers, but I have to say Only God Forgives. I was anticipating the movie since Drive and the movie had a lot going for it: a talented director, a strong actor, and even Kubrick cinematographer Larry Smith. But Only God Forgives was the biggest disaster in cinemas the past year (please don’t hate me for saying this). It felt derivative of much better movies like Mulholland Drive and Eyes Wide Shut, not to mention at times seemed like a parody of Nicolas Refn’s past work with its overuse of stylized violence and action. Ryan Gosling, who played the Driver with awe and coolness, was stone-cold and seemed as mute as a statue. I really wanted to love Only God Forgives, but I just couldn’t. I’m sorry I have to disagree with you. I can see why people don’t like but it was actually one of my favourites in 2013. The cinematography was so interesting and vibrant, it always attracted your eye. I thought in OGF Ryan Gosling showed how he was one of the best actors around at the minute, he showed how he could act with saying very little, I just thought the whole concept of him fighting God interesting. The fight sequence near the end was incredible. Thanks for the comment. I loved the cinematography and some of the ideas Refn put on screen, but it didn’t quite mesh together. Maybe a second viewing will make the experience better. Completely agree with what Chris said if I’m honest, it’s probably the biggest mixed viewed film of 2013 with everyone rather hating it or loving it! Personally love it and included it in my top 10 for 2013, biggest disappointment for me was evil dead, expected so much better especially with the hype! It certainly was the most decisive film of 2013. I really wanted to like Only God Forgives, but it struck me as a mess. Thanks for the comment. I’ll give two films here. I felt Evil Dead and To the Wonder were both immensely disappointing. Now I know how you feel about the latter, but I was bored stiff. As for Evil Dead, it goes to show you just don’t remake a cult classic. I knew that To The Wonder would probably get a shout out. I know a couple of other people who were very disappointed, but I was a fan. And after reading the reviews, I stayed clear of Evil Dead. Thanks for the comment. The reviews for Evil Dead were surprisingly fair actually. It got a 60-something% on Rotten Tomatoes. I belligerently hammered it though. I couldn’t love Only God Forgives either. It’s not good. I’ll say Trance. While it’s not the worst film of the year, not by any stretch, I usually like Danny Boyle’s work – a lot – and Trance just isn’t good. I’m glad someone has my back for Only God Forgives. It was a disaster. I also didn’t see what was so great about Spring Breakers as well and Trance was a bit bewildering. I was though a big enthusiast about Before Midnight, which is one of my favorites of 2013. Most people are enthusiasts for Before Midnight. The Great Gatsby, Oz, Superman, and Hobbit Smaug. Nice picks! I’ve seen all but Oz and none met the hype expected for them. Gotta agree with you on Only God Forgives. I felt let down by Iron Man 3 also, considering it mainly got good reviews. I’m glad someone agrees with me, Only God Forgives struck me as a big mess. I think a lot of critics share your take on that. To be honest my expectations weren’t as high as others. I was one of the few who didn’t go crazy over Drive. I thought it was a good film but not great. I think that’s why my excitement for this one wasn’t too high. Thanks for the comment. I was a big fan of Drive and it was in my top three of 2011. But this felt to me like a pale imitation and I thought it was a disaster. I agree with you that Only God Forgives was a bad/disappointing movie, however, in my opinion the most disappointing movie of 2013 was The Counselor – it was just a mess of a movie that wasted a perfect cast. Thanks for the comment. I can see the appeal behind OGF, but I thought the result was catastrophic. I avoided The Counselor after reading the reviews, but it’s a real shame since it has an excellent cast. I’m with you on this one. Only God Forgives looked gorgeous and sounded great, but beyond that there was little to get the teeth into it. It’s a film loaded with symbolism, but feels like symbolism for the sake of it. It gets quite comical at times. With Drive, Refn found himself in the mainstream, or at the very least, on the edges of it. I think this film is him pulling back from that, and not all that successfully. I agree. Drive managed to maintain all of its symbolism and themes, but Only God Forgives was just sloppy. It’s a real shame since it comes from such talented people. I saw it in theaters and I agree. It rehashed the plot of Metropolis but had none of the thrill or emotion. I’ve got to agree with your pick, ckckred. While OGF is an instant cult film, sure to pick up fans in the years ahead, it was my biggest disappointment. Thanks for the comment. I can definitely see OGF growing in reputation in the upcoming years but sadly I thought it was a enormous mess. Yeah I didn’t like Only God Forgives either. It’s about tied with Romeo and Juliet for the worst film I saw this year. However, while American Hustle is definitely not the worst film of 2013, it’s the biggest disappointment for me. I absolutely loved Silver Linings Playbook and could not have had higher expectations for AH. While I think I’ll grow to appreciate in coming years, it just felt messy and unfocused, and didn’t have as much vibrancy as SLP did somehow. I know I’m going really hard on it, but that’s only because I liked SLP so much. I think I’d say OGF is the worst I’ve seen this year as well, maybe even more so than A Good Day To Die Hard. I just saw American Hustle and I really liked it. Some parts did feel a bit unfocused but it was a lot of fun. I thought Only God Forgives was hugely disappointing as well. Everyone talks about its cinematography, but I thought it was overkill and totally distracting. ENOUGH OF THE RED AND BLUE, we get it! Other than that, I thought Rob Zombie’s The Lords of Salem was 2013’s biggest disappointment. I agree with you about the cinematography. At time it felt like Smith was parodying his work with Kubrick. Thanks for the comment. I didn’t bother with 2 Guns or Movie 43. I know some people really liked OGF and I wanted to love it but just couldn’t. Only God Forgives was certainly a crushing disappointment, but it’s second only to my actual biggest disappointment of the year, that being Man of Steel. So much potential, and given the talent involved, there was absolutely no excuse for that movie being as mundane as it was. Man of Steel is another big disappointment. It wasted a good cast for a overlong Michael Bay style ending. I haven’t seen Only god forgives yet, I do think the trailer is cool but could very well be deceiving. My biggest disappointment is Elysium, it wasn’t terrible but it didn’t come close to my big expectations. 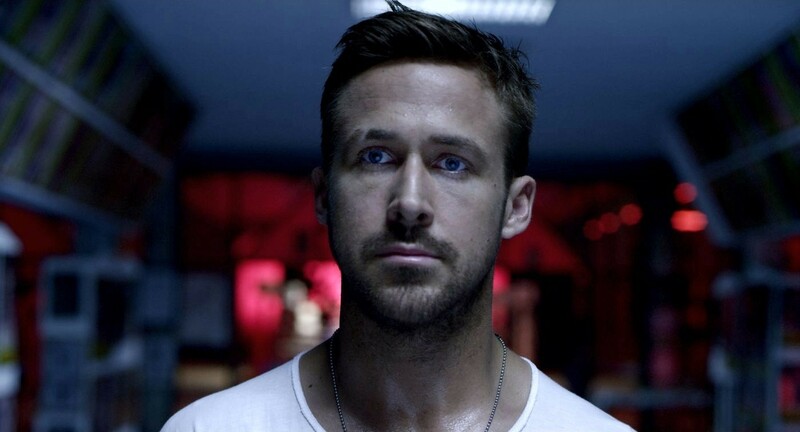 The trailer for Only God Forgives looked great, but it set up a great disappointment. Elysium didn’t meet my expectations as well. No flack from over here. I absolutely loved Drive, it was my second favourite film of that year. But Only God Forgives was just utter arse. Terrible film. One other that I was massively let down by was Monsters University. Monsters Inc is my favourite Pixar film, but the prequel was just so flat and uninteresting I thought. Yeah, Only God Forgives was awful. I loved Drive as well (it was in my top 3 of 2011) but it was a huge mess. Yeah, I had a similar reaction to Only God Forgives. All style, no substance. I was also expecting more out of Trance, which was decent but not on the level of Boyle’s best work. I agree, Only God Forgives needed more work on sorting out its themes and symbols. I was disappointed by Trance as well, I liked it but it felt very messy at times. Thanks for the comment. I tried watching it but found it boring, I was also hoping it would be better. Only God Forgives was such a disappointment, totally agree with you. Firstly, Refn should have kept the film completely silent considering how awful the dialogue was. Refn makes his film more about the mood than anything else, but when everything else is embarrassingly falling apart, its hard to let the mood take over. Gosling is unfortunately stuck playing a dull character that I don’t feel he had the right presence for, and when he finally shows some emotion it becomes so over the top, it’s laughable. I love me some Kristen Scott Thomas, but she came across very amateurish. I agree with everything you said. It feels almost like a parody of Drive and was everything its critics accused of it. Gosling and Thomas are talented actors but they had very poor performances.